Where would we be without the Simpsons, America's favorite nuclear family? In a world without Bart's furious chalkboard scribblings. A world without couch gags. A world without Squishees and Duff beer and "D'oh!" Sunday marks the Season 23 debut of The Simpsons -- a season that will include the 500th episode of America’s longest-running animated program. To mark this milestone, we asked Wired.com staffers to name their all-time favorite episodes, lines, nerdy send-ups and moments from the show. The picks kept rolling in, but we narrowed them down to 10. Enjoy them all, in chronological order, in the video gallery above. 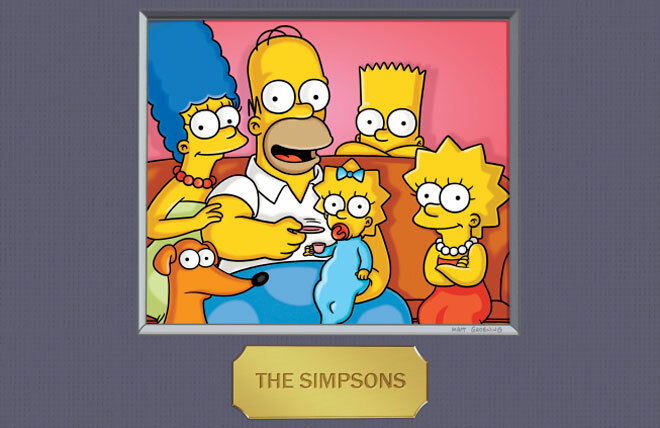 The Simpsons airs Sundays at 8 p.m./7 p.m. Central on Fox. Image courtesy Fox Broadcasting. Got your own favorite moment from The Simpsons? Let us know in the comments section below.